Thanks for shopping Bar Globe products! You have the right to exchange or receive a full refund on the items you have purchased within 14 days of their delivery. Exchanges and refunds are issued providing that the garment/product has not been used and is not damaged. ORIGINAL WRAPPING AND HANGTAGS MUST FOLLOW THE RETURN. Please see the detailed information regarding returns below. In terms of payment, we accept credit cards: VISA and Mastercard (PayPal). 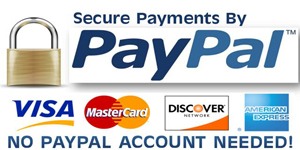 Making purchases in our webshop is secure (SSL) – PayPal. For details on our security measures, please see terms and conditions. Prices are stated in EURO, GBP, SEK and more depending on your destination country. See the Currency Converter. Bar-Globes.com are registered (57575649), and operate out of The Netherlands, under Dutch law. We will ship your order as fast as we can, normally within 48 hours of placing your order. Once your order has been shipped, you will receive an e-mail with a shipment tracking number. Shipping rates and options are clearly stated on our website during the checkout process. You will receive an e-mail and/or sms with your tracking number once the order has been shipped, and/or when it arrives at your local pick up destination or home/office. You have the right to exchange or receive a full refund on the items you have purchased within 14 days of their delivery. Exchanges and refunds are issued providing the garment/product has not been used and is not damaged. ORIGINAL WRAPPING AND HANGTAGS MUST FOLLOW THE RETURN. Refunds will be paid to your credit card and normally take 4 to 6 businessdays after we received your return. You are responsible for the return shipping costs. For our warranty info, please see below. If you are uncertain about how to customs declare your return please contact our customerservice department. 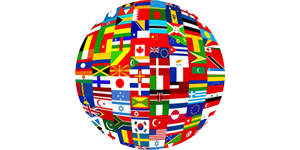 Please feel free to contact us (info@bar-globes.com) with any questions you may have. We are here to help! Our simple mission is to build the best products possible. We always seek to use the most advanced materials, technology and production methods. Bar-Globes.com warrants all products to be free of defects in material or workmanship for a period of one (1) year from the date of purchase. If a Bar-Globes.com product fails due to defects in craftsmanship or materials, within the warranty period, we will repair or replace the product free of charge. Be aware that this warranty is limited to the original purchaser only. For detailed information please see the guidelines below and/or the product specification following the product. If you have any questions regarding our services or guarantees, please feel free to contact our service center by e-mail at info@bar-globes.com. Before returning any product, you must contact Bar-Globes.com by phone or e-mail to obtain a return authorization. Arrange and pay shipping the product to Bar-Globes.com. We will ship back to you free of charge! Ensure that the returned product is washed, clean and dry before shipping. Dirty and/or foul smelling garments/helmets will be returned unprocessed or may delay the process with an additional surcharge. Damage due to wear and tear, misuse or neglect is not covered under our warranty, but may be repairable for a reasonable fee as listed below. Please contact our warranty department if you have any questions.